How to run an Advanced Search? 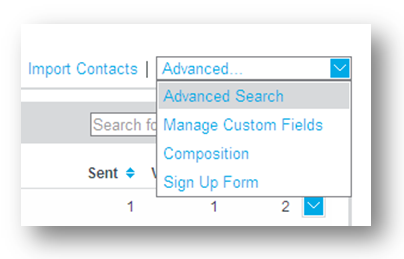 You can run an advanced search based on fields and information held in contact profiles to find contacts that adhere to these. For example you can search for all contacts with specific text contained in fields in their address book, such as in their email address or Company name. 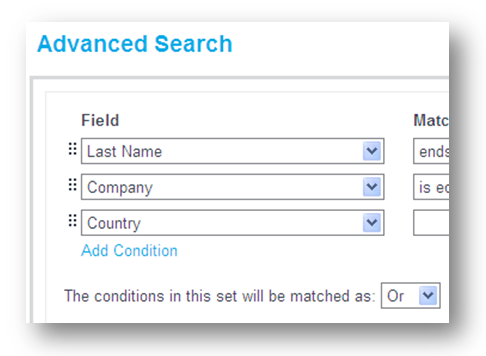 1 - Navigate to the "Contacts" section and use the "Advanced" dropdown to select "Advanced Search". 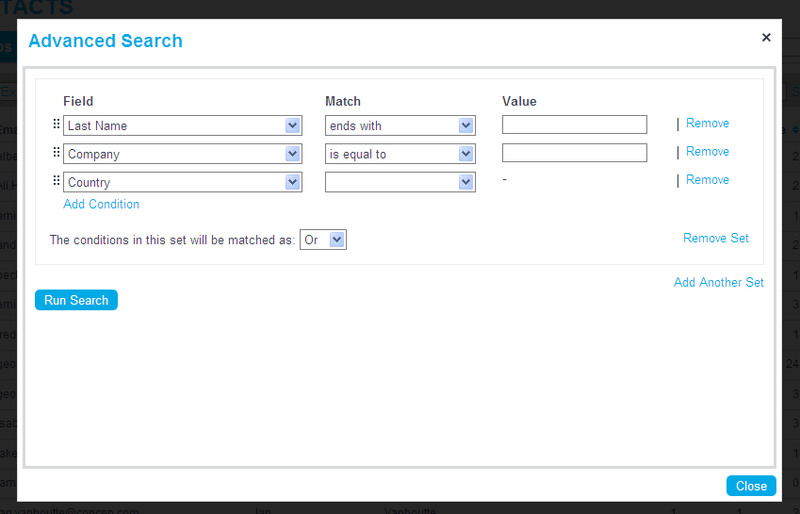 2 – Create search conditions by matching contact profile fields with specific values. 3 –If you are using multiple conditions, you can link them with "And" or "Or" operators creating rule sets You can create multiple rule sets that can also be linked with the “And” or “Or” operators. 4 - Once you have finished click "Run Search".